Expense reports are an important document for any business to have. They detail what an employee spent, and what expenses need to be reimbursed. Designing an expense report isn’t always easy though, and for some businesses the process can be downright frustrating. It helps to have a unified sheet used for expenses that can be easily tracked, and which is simple to understand. Fortunately if a business has computers that support Microsoft Excel, then downloading a simple expense report template can be the answer to this particular business woe. This template is nothing more than a Microsoft Excel document that’s been created with all of the necessary labels and formulas one needs. This sheet automatically tallies up expenses, doing all of the number crunching to eliminate as much human error as possible. All one needs to do is take his or her expenses, plug them into the necessary rows, and then save the results with a simple, easy to remember name like “Expense Report for New York trip 10/17/2013”. The form can be customized, and used for practically any sort of expenses. 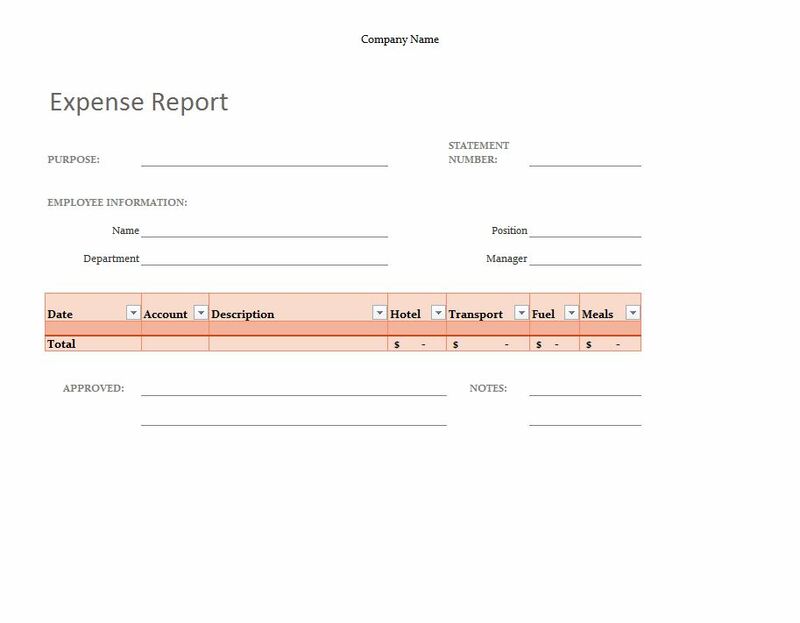 Getting this simple expense report template is even easier than using it. All one has to do is follow the link and download the form. Once the Excel document has been saved to the user’s computer, all that’s left is to name it something memorable, and to put it in a location that will be easy to find. Once that’s done all someone has to do is open the template, and then click “Save As” to change the name. Once the name’s been changed, filling out the expense report is a snap. What’s even better is that, in addition to being free to download, this template can be downloaded and shared time and time again. If someone accidentally deletes the template, or the file gets corrupted somehow, then that’s not a problem. All that individual has to do is go and re-download the file. If someone wants the simple expense report template on his or her home computer, or if it’s needed in various departments, it can be easily put on all of those machines with no muss, no fuss, and no payment necessary. This template is always free, always easy, and it’s meant to help businesses stay on track.